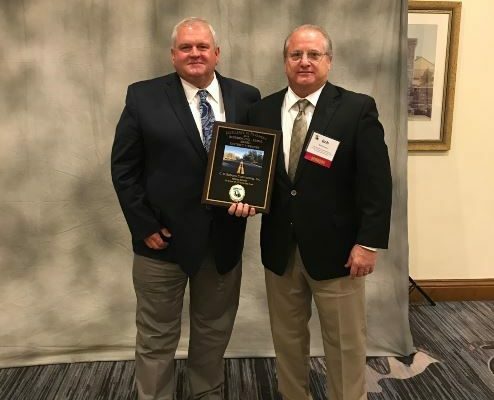 CWR was pleased to receive the Resurfacing (Rural) District 3 Award for its SR 2 from County Road 177 to Ten Mile Creek – Holmes County, Florida project. This improvement contract included milling, resurfacing, drainage, signing and marking. “We are honored and humbled to receive this award”, said Robert P. Flowers, president of CWR. “This award exhibits our employees’ diligent work and efforts on delivering noteworthy projects. Thank you ACAF for recognizing our commitment on providing the highest level of service”. ACAF rates contractors and projects by the quality of the mix, the ride, new construction, and the visual rating of the highway. Winners were announced at the dinner banquet held on June 16, 2018.